There are so many ways you could make yogurt work for you in the kitchen. 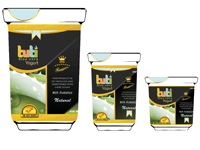 Wow your guests by adding a cup of Tuti probiotic yogurt to everyday meals. 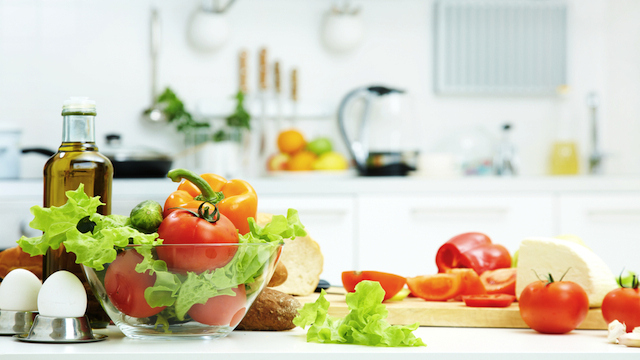 The aloe vera, vitamins, protein, and micronutrients will pack your recipes with nutrition. It’s avocado season, and what better way to add this great fruit to your meals than with a smooth creamy dip! Guacamole is a delicious dip made from avocados, that’s loaded with folate, vitamin E, and healthy fats which reduce blood pressure and risk of heart disease. The fibre helps with digestion and keeps you feeling fuller for longer, which keeps weight at bay. Guacamole, then known as ahuaca-mulli, originated from the Aztecs whose location was present day Mexico. The Aztecs believed that guacamole was an aphrodisiac which made the dish very popular. Avocadoes were the only high-fat food on their diet and that worked to their advantage because they could get protein and life-sustaining fats from their diet. The ancient recipe was made from mashed avocadoes, white onions, jalapenos, tomatoes and salt. Creamy guacamole has yogurt which gives it a tasty, tangy taste and requires minimum effort to prepare. Peel 2 avocadoes and mash them with 250ml of Tuti yogurt in a medium bowl. Toss in some diced red onions, tomatoes, peppers and some salt then stir. You could add some lemon juice to preserve its green colour. Use it as filling for your burgers, salad for your nyama choma or topping for your githeri. This is a very simple yet filling dish. The origin of potatoes is a moot issue. The English insist that they have served mashed potatoes and gravy since the 17th century while some say that the recipe came about when a French man, Antoine Parmentier held a competition on how to cook potatoes in 1771. In Africa, the central Kenya Bantus are known for their yummy mukimo in which they add maize and dark green leafy vegetables to mashed potatoes. Potatoes are high in Vitamin B6, potassium, dietary fibre, niacin, phosphorus and Vitamin C. Vitamin B6 creates neurotransmitters like serotonin which reduces depression, melatonin which gives you a good night’s sleep and epinephrine which helps you respond to stress. Mashed potatoes, regarded as a comfort food, have a soothing effect when ingested and are prepared in a healthy way unlike their fried and baked counterparts. Put 1kg of peeled potatoes in a cooking pot with cold water. Bring the water to boil and simmer potatoes until fork tender. Drain the water and mash the potatoes with 2 tablespoons of butter and 250ml of Tuti probiotic yogurt. Add some pepper, coriander, and salt then mash until smooth. Serve your mashed potatoes with a meat dish and dark green vegetables. Alternatively, you may add pumpkin leaves, stinging nettle and maize to make delicious mukimo. This tasty dish is prepared by cooking spinach in spices and cream sauce. It is thought to have originated in ancient Persia. Spinach is a good source of vitamin K, phosphorus, iron, magnesium and choline. Vitamin K helps with body metabolism, building strong bones and blood clotting. In fact, wine fortified with spinach was given to French soldiers who had suffered excessive bleeding during World War 1. Choline helps with proper nerve and liver function as well as brain development and without it, you will have a high risk of liver damage. Fry some onions and pepper in a pan. Add chopped spinach and fry till dry. In a separate bowl, mix half a tablespoon of flour and 250ml of Tuti probiotic yogurt. Add the yogurt mixture to the spinach and simmer for a minute. Serve your savoury meat dishes or grilled shrimp on a bed of creamed spinach for a nutrient rich meal. You may also substitute lettuce in your sandwiches for this delectable filling. Do you have any recipe ideas that you can spice up with Tuti probiotic yogurt? Make an order to whip up a gourmet meal today. Do you know what to look for when buying yogurt? Should I give my baby probiotic yogurt? We are driven by the need to improve the wellbeing of the consumer by manufacturing refreshing, natural healthy food products using wholesome foods guaranteeing compliance at all levels.